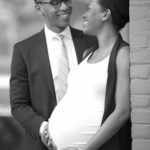 A- Maternity Photography Package for two. $100 regular price $299. – 30 minutes photo shoot, at the High Line Park. – Digital download of all the master photos from your session in High Resolution. +50 beautiful images at different places. 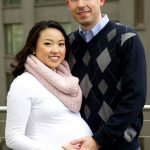 – For extra $25 get one beautifully retouched photo for your holiday cards. – For extra $50 get one beautifully retouched photos. – For extra $100 get five beautifully retouched photos. Notes: Retouching price only include: Light retouching on face blemishes and belly stretch marks only, It will be a charge for any additional retouching beside the mention above if needed. Please arrive hair and make-up ready to get more of the time from your session. Please arrive on time otherwise your session will be shorter or will be an additional fee of $50 will be charged if we surpass your appointment time slot due to lateness. A full payment is require for every session. By appointment only. Be aware that i have a firm 48 Hour Cancelation Policy on Weekdays and 72 Hours Cancellation policy on weekends. ** This is not available for other promotions. 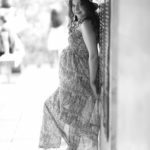 B- Pregnancy Photography Package for three. $299 regular price $599. 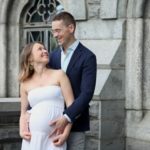 – 45 minutes photo shoot, at your desired spot in Central Park or in Studio. – Five beautifully enhanced digital images with printing rights. 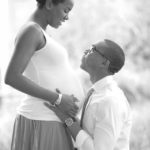 C – Early Bird Maternity Photography Package for three. $200 regular price $299. Available Saturdays 8AM and 9AM or Weekdays at any time. – 30 minutes photo shoot, at the Bethesda Fountain in Central Park. – Digital download of all the master photos from your session in High Resolution. +70 beautiful images at different places. – Three beautifully enhanced digital images with printing rights. Notes: Retouching include: Light retouching on face blemishes and belly stretch marks only, It will be a charge for any additional retouching beside the mention above if needed. Please arrive hair and make-up ready to get more of the time from your session. Please arrive on time otherwise your session will be shorter or will be an additional fee of $50 will be charged if we surpass your appointment time slot due to lateness. A full payment is require for every session. By appointment only. Be aware that i have a firm 48 Hour Cancelation Policy on Weekdays and 72 Hours Cancellation policy on weekends. ** This is not available for other promotions. © 2019 Erwin List Photography|ProPhoto theme|Design by Northfolk & Co.